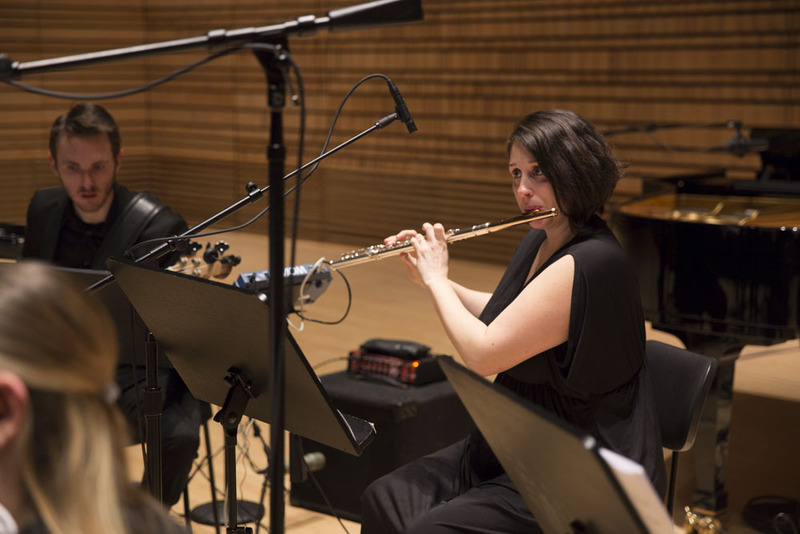 Ensemble Signal, described by the New York Times as “one of the most vital groups of its kind,” is a NY-based ensemble dedicated to offering the broadest possible audience access to a diverse range of contemporary works through performance, commissioning, recording, and education. 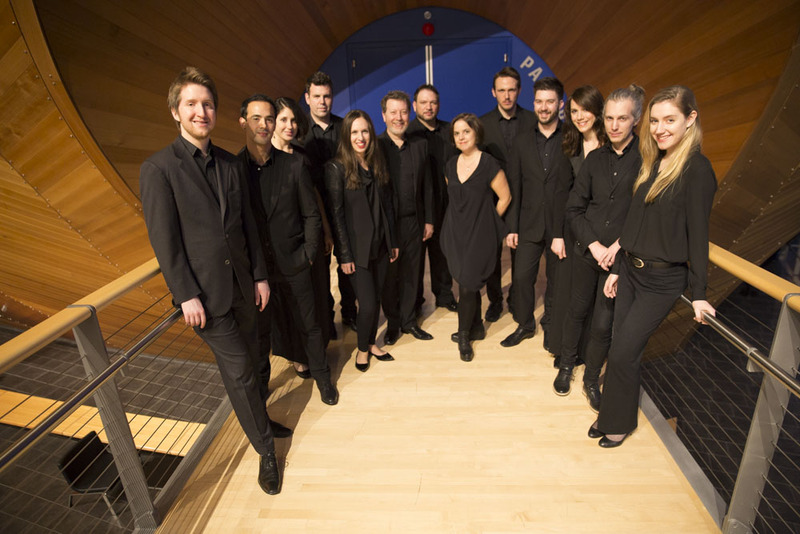 Since its debut in 2008, the Ensemble has performed over 200 concerts, has given the NY, world, or US premieres of over 20 works, and co-produced ten recordings. Signal was founded by Co-Artistic/Executive Director Lauren Radnofsky and Co-Artistic Director/Conductor Brad Lubman. Called a “new music dream team” (TimeOutNY), Signal regularly performs with Lubman and features a supergroup of independent artists from the modern music scene. Lubman, one of the foremost conductors of modern music and a leading figure in the field for over two decades, is a frequent guest with the world’s most distinguished orchestras and new music ensembles. Signal’s passion for the diverse range of music being written today is a driving force behind their projects. 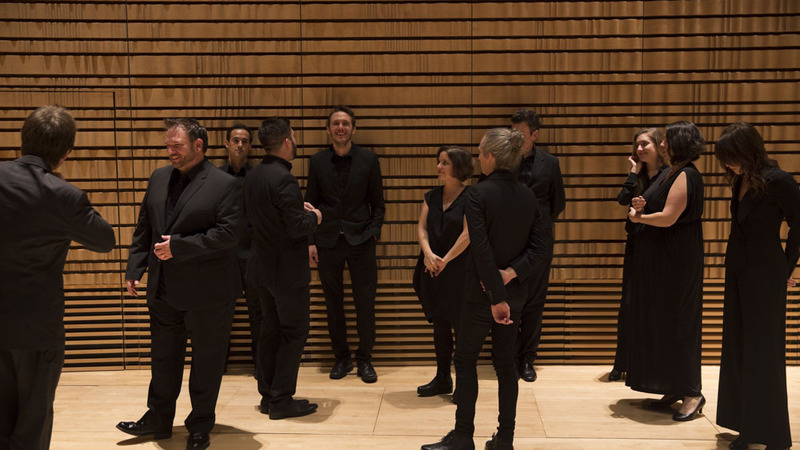 The Ensemble’s repertoire ranges from minimalism or pop-influenced to the iconoclastic European avant-garde. Signal’s projects are carefully conceived through close collaboration with cooperating presenting organizations, composers, and artists. Signal is flexible in size and instrumentation - everything from solo to large ensemble and opera, including film or multimedia, in any possible combination - enabling it to meet the ever-changing demands on the 21st century performing ensemble. The Ensemble is a frequent guest of the finest concert halls and international festivals including Lincoln Center Festival, the Los Angeles Philharmonic’s Series at Walt Disney Concert Hall, BIG EARS Festival, Carnegie Hall's Zankel Hall, Lincoln Center American Songbook, The Library of Congress, Washington Performing Arts, Cal Performances, Tanglewood Music Festival of Contemporary Music, Ojai Music Festival, the Guggenheim Museum (NY), the Wordless Music Series, and the Bang on a Can Marathon. 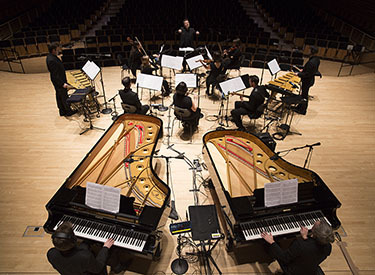 They regularly work directly with nearly all the composers they perform in order to offer the most authentic interpretations, a list that includes Steve Reich, Helmut Lachenmann, Michael Gordon, David Lang, Julia Wolfe, Oliver Knussen and Hans Abrahamsen. 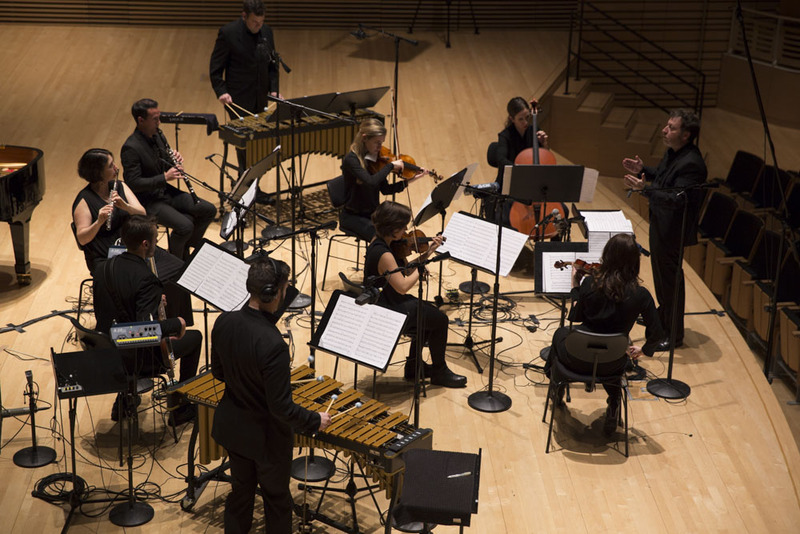 Throughout 2017-18, they gave the US premieres of a new work for 19 musicians by Steve Reich entitled Runner at venues across the US. 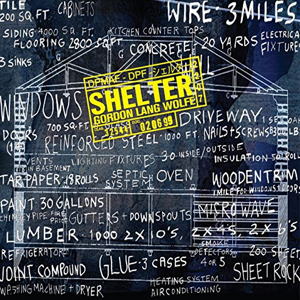 Upcoming projects include the world premiere of a new work for large ensemble by Steve Reich in collaboration with artwork and film by Gerhard Richter at the inaugural season of New York’s new multi-arts venue, The Shed, in spring 2019. 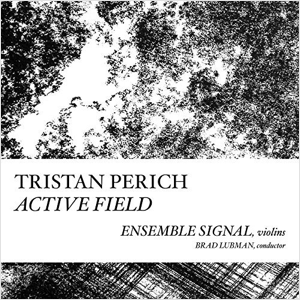 Signal’s recording of Reich’s Music for 18 Musicians was released in May 2015 on harmonia mundi and received a Diapason d’or and appeared on the Billboard Classical Crossover Charts. 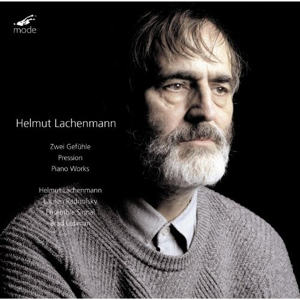 Additional recordings include a CD & DVD of music by Lachenmann, with the composer as soloist in “…Zwei Gefühle…” (Mode) and Steve Reich’s Double Sextet & Radio Rewrite (harmonia mundi). Signal’s educational activities include community outreach programs in diverse settings as well as workshops with the next generation of composers and performers. You can get news and event announcements by signing up for our email newsletter.Want to get in touch? For all inquiries, contact Co-Artistic/Executive Director Lauren Radnofsky. 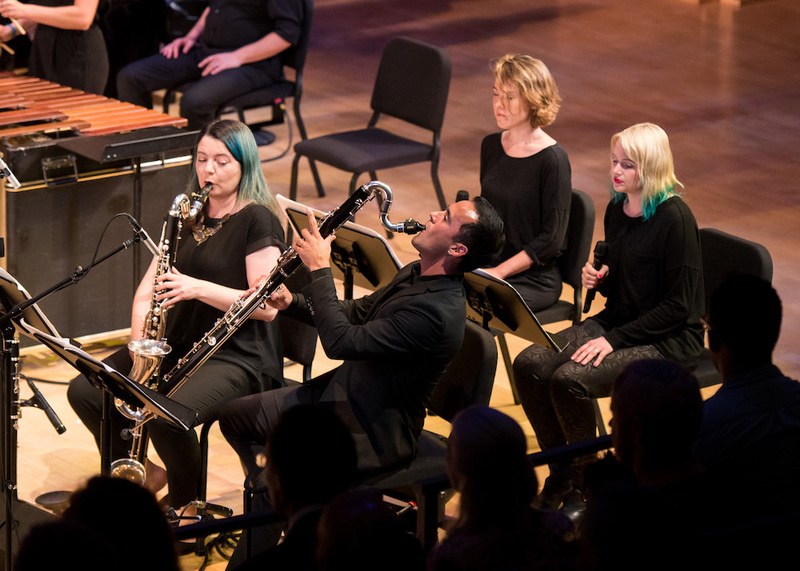 Ensemble Signal builds tailor-made projects in collaboration with artists and organizations, bringing a diverse range of contemporary music to the broadest possible audience through performance, commissioning, recording and education. Signal has realized many performance and educational projects that are ideal for replication, and is firmly committed to building new projects that encompass a wide variety of musical styles, scopes, and sizes. 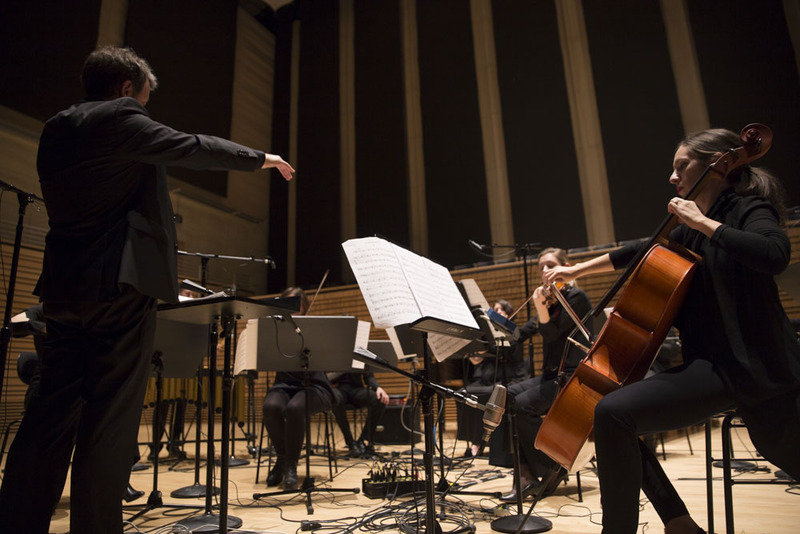 Since Ensemble Signal’s inception in 2008, the Ensemble has performed over 200 concerts ranging in size and scope, from solos to mixed contemporary ensemble, multimedia or video opera productions and live ensemble with film. Ensemble Signal is flexible in size and instrumentation: we build projects consisting of solos to 55 players and more. 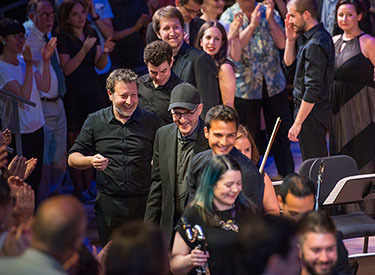 From the beginning, a core focus of the Ensemble has been frequently working in detail with the composers whose works we play, in order to produce the most precise possible interpretations — among them Steve Reich, Helmut Lachenmann, David Lang, Michael Gordon, Julia Wolfe, Hilda Paredes, Georg Friedrich Haas, Tristan Perich and Hans Abrahamsen. Signal’s repertoire includes styles ranging from minimalism to the iconoclastic avant-garde, to classical. The Ensemble has performed projects including the music of Ornette Coleman, or J.S. Bach paired with living composers, as well as numerous collaborations with contemporary luminaries such as Irvine Arditti and Kristian Bezuidenhout. View complete past & current Signal projects here. Understanding the immeasurable reach of Reich’s music, Ensemble Signal announces our long-term, multi-year commitment to make our projects of Reich’s music accessible to the broadest possible worldwide audience. With this initiative, we aim to build our impact by reaching new and vast audiences using all of the technology and methods available in the twenty-first century, physically reaching new geographical locations, working with new institutions, and expanding already existing relationships to realize new projects. The performances and documentation we make available will reach a global audience and serve as an educational tool for generations to come. We will carry out this vision through five core approaches: performing, audio recordings, education, on demand video, and live streaming. Our performance projects may include any work by Reich; educational projects include coaching or side-by-side performances of any work by Reich, and community outreach programs. Over the coming years, we intend to move Ensemble Signal toward a fuller realization of this vision. 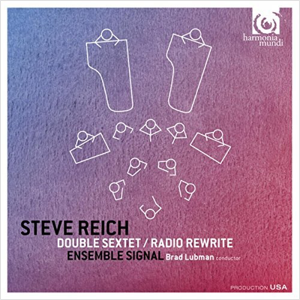 Steve Reich has been an essential pillar of Ensemble Signal since our first days, working closely with the ensemble to prepare numerous performances of his work. He even gave us our name: Signal Through our close collaboration with Steve in performing and recording a significant body of his work for almost a decade, the artists of Ensemble Signal have become central members of the next generation of interpreters of his music. For Signal, Steve is not only a composer whose music we love, he is also a mentor and dearest of colleagues. 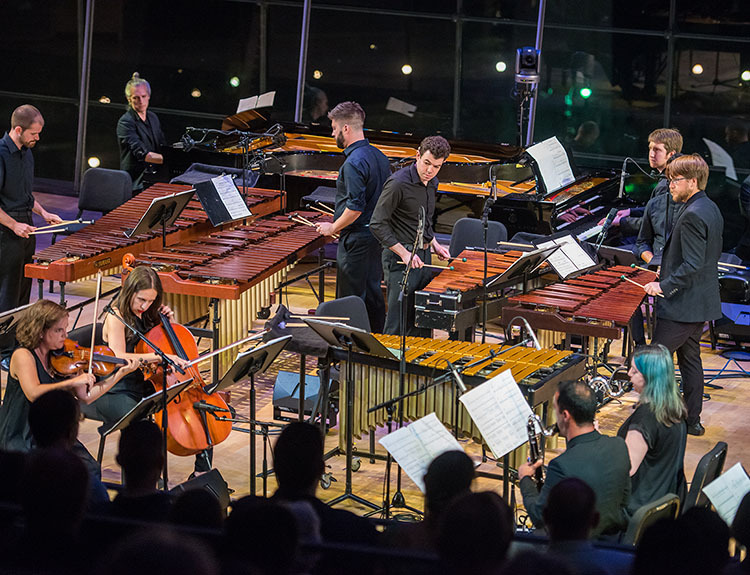 Signal strives to honor the traditions of performance and production practices established by both Steve Reich and his own ensemble since the 1970s. We also work to naturally bringing our unique next-generation perspective as an ensemble, which includes many young Americans who have grown up listening to Reich’s work as well as the music it influenced - from pop to classical. 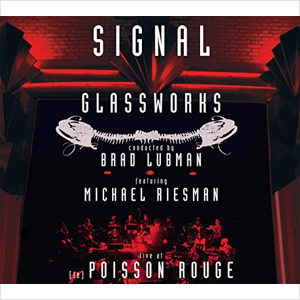 Additionally, Signal Music Director Brad Lubman brings with him over 20 years of experience at the forefront of Reich’s music, having recorded, performed and given the world premieres of numerous works by Reich internationally. 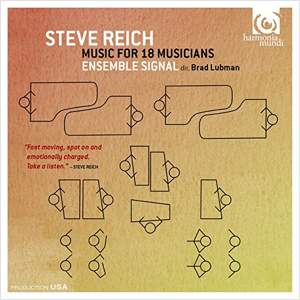 Signal’s experience with producing Reich’s music is extensive: Signal has in its core repertoire 20 works by Reich, and has mounted nearly 30 events involving Reich’s work at venues, ranging from Lincoln Center Festival and Carnegie Hall to BIG EARS; we’ve produced or recorded a piece by Reich over 50 times, and released two Reich recordings on harmonia mundi, to widespread critical acclaim. Our performances of Reich have reached worldwide audiences through live streaming on medici.tv, and the number of times a track has been streamed from our recording of Music for 18 Musicians has reached over 2 million streams on Spotify. …our long-term goal is to bring as many works by Reich as possible to the broadest possible worldwide audience. Recent educational outreach programs have taken place in locations ranging from a music program dedicated to providing free lessons to children from refugee and immigrant families, to a children’s workshop at the Guggenheim Museum in New York, and an upstate New York retirement community. Signal musicians work with students at a conservatory to prepare a performance, in which students play side-by-side with Signal musicians in the ensemble. Signal personnel give Arts Leadership talks, and lead composer workshops of pieces by emerging or student composers. The Ensemble offers informative pre-concert discussions as well as Q&A sessions with artists and composers. Performed alongside artwork and video by Gerhard Richter, as part of The Shed’s REICH RICHTER PÄRT project. Educational concert program and workshop for Buffalo String Works, a Buffalo non-profit dedicated to providing after school music educations to children from refugee and immigrant families. A supergroup of independent artists who have worked closely with one another and with music director Brad Lubman over the last decade, able to appear in flexible configurations of 1-30+ players, based on the needs of each season’s diverse programming. Ensemble Signal is a 501(c)(3) organization that relies on contributors like you! In order to sustain our programs, financial and in-kind donations from supporters who also believe in our goals are essential. Thank you so much for your consideration! Any size financial contribution will allow us to continue our mission of offering the broadest possible audience accessibility to a diverse range of music through performance, education, commissioning, and recording. All financial contributions are tax deductible to the extent permitted by law. In addition to our own team of volunteers, Signal has a growing base of professionals who provide in-kind services. These great folks' services directly contribute to making our programs possible. We'd love to hear from you if you might like to learn more about getting involved as a volunteer! If you would like to learn more about giving opportunities, please contact Lauren Radnofsky. Lauren Radnofsky is founding Co-Artistic/Executive Director and cellist of Ensemble Signal. Within her triple role, Radnofsky is responsible for program curation, general management, development, and also serves as the main producer, in addition to being a regular performer in the ensemble. Under her leadership - within the span of just seven years - Radnofsky has overseen Signal distinguish itself as an ensemble of exceptional versatility, its ambitious range of activities including over 150 concerts, nine recordings, and the NY, world, or US premieres of over 20 works to date. Radnofsky has managed all aspects of Ensemble Signal’s participation in projects at venues including Lincoln Center Festival, Walt Disney Concert Hall, BIG EARS Festival, Ojai Music Festival, Tanglewood Festival of Contemporary Music, Miller Theatre, Carnegie Hall, Works & Process at the Guggenheim (NY), the Wordless Music Series, Cleveland Museum of Art, (le) Poisson Rouge, and the Bang on a Can Marathon, and has served as a coordinator in the production of all Signal’s recordings; in addition to performing as cellist in all of the former. As Co-Artistic Director of Signal, Radnofsky regularly collaborates with cooperating presenting organizations, composers, and artists to design a unique array of adventurous projects, thereby bringing programs of new or rarely performed music to the public. 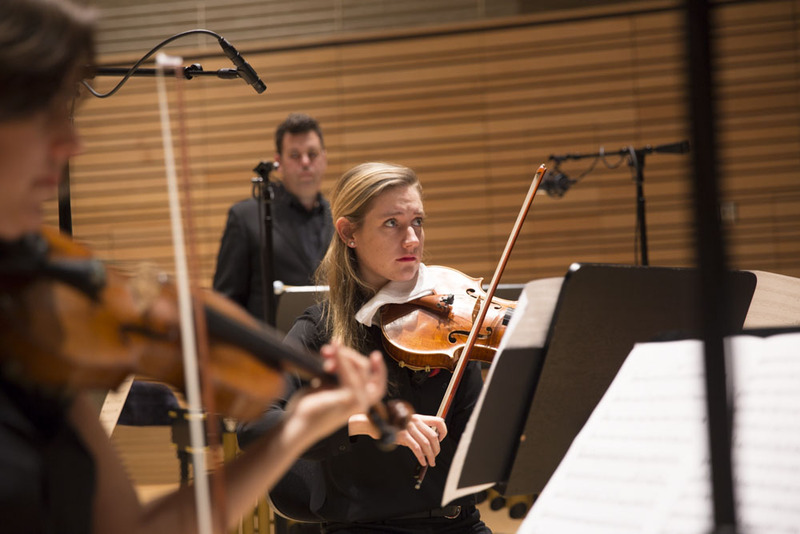 These projects range from a 2010 tour with iconoclastic German composer Helmut Lachenmann to programs including diverse pairings designed to illuminate modern or seemingly disparate works, and educational workshops with emerging composers and musicians. 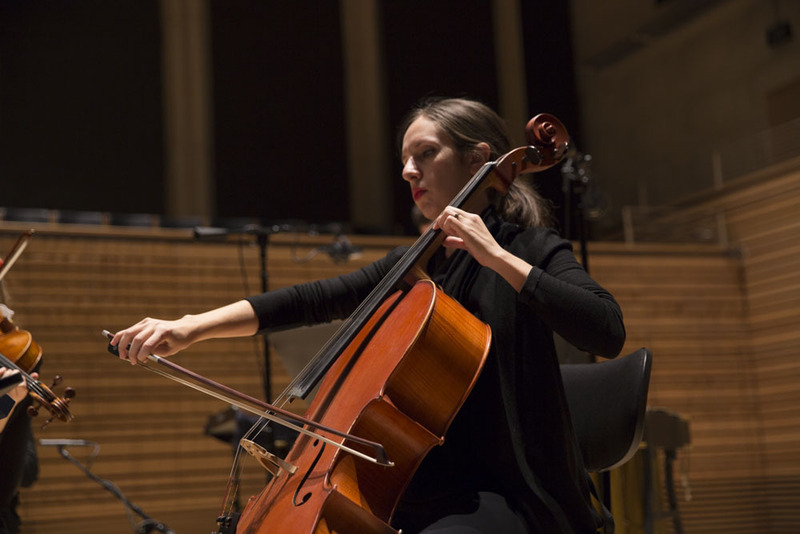 As a cellist with Signal, Lauren has worked with composers and artists including Helmut Lachenmann, Steve Reich, Irvine Arditti, Oliver Knussen, Michael Gordon, David Lang, and Julia Wolfe. 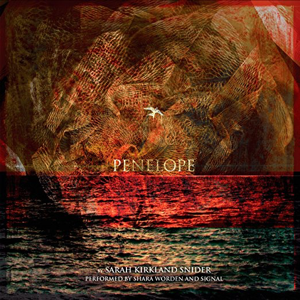 Outside of Signal, she has appeared as soloist with the Saint Paul Chamber Orchestra performing Kaija Saariaho's Amers for cello and ensemble, and the Wordless Music Orchestra in Jonny Greenwood’s Doghouse for string trio and orchestra. Additionally, Radnofsky served on the faculty of the 2014 and 2015 Bang on a Can Summer Institute. Brad Lubman, conductor/composer, is one of the foremost conductors of modern music and a leading figure in the field for over two decades. A frequent guest conductor of the world’s most distinguished orchestras and new music ensembles, he has gained widespread recognition for his versatility, commanding technique, and insightful interpretations. His flexibility in a variety of settings has led him to conduct a broad range of repertoire from classical to contemporary works, and to direct projects including orchestra, opera, multimedia, and mixed ensemble. Lubman has led major orchestras including the Symphonieorchester des Bayerischen Rundfunks, Royal Concertgebouw Orchestra, Los Angeles Philharmonic, NDR Sinfonieorchester Hamburg, Dresden Philharmonic, DSO Berlin, RSO Stuttgart, WDR Symphony Cologne, Orchestre Philharmonique de Radio France, Finnish Radio Symphony, the Netherlands Radio Chamber Philharmonic, and the National Symphony. In addition, he has worked with some of the most important European and American ensembles for contemporary music, including Ensemble Modern, London Sinfonietta, Klangforum Wien, Musik Fabrik, ASKO Ensemble, Ensemble Resonanz, and Steve Reich and Musicians. Lubman has conducted at new-music festivals across Europe, including those in Lucerne, Salzburg, Berlin, Huddersfield, Paris, Cologne, Frankfurt, and Oslo. 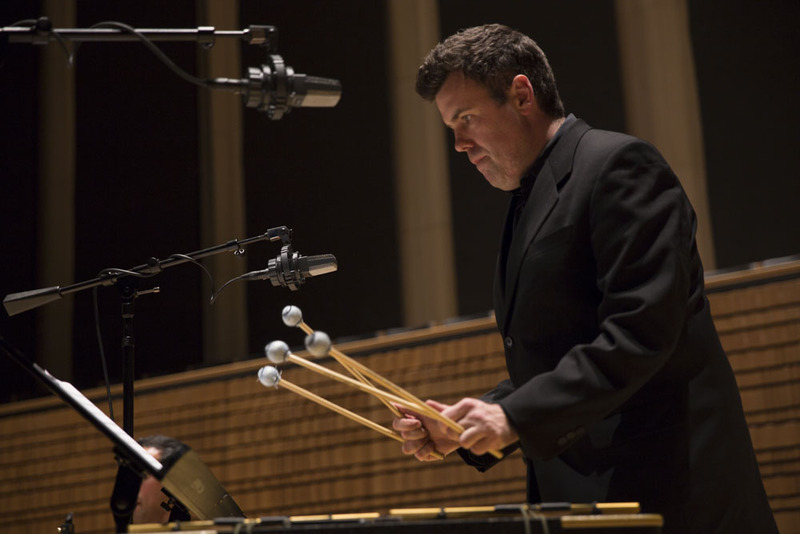 Lubman is founding Co-Artistic and Music Director of the NY-based Ensemble Signal. Since its debut in 2008, the Ensemble has performed over 150 concerts and co-produced nine recordings. Their recording of Reich’s Music for 18 Musicians on harmonia mundi was awarded a Diapason d’or in June 2015 and appeared on the Billboard Classical crossover charts. Lubman has conducted numerous world premieres. Among these are Steve Reich’s Three Tales, Daniel Variations, Radio Rewrite, and Variations for Vibes, Pianos and Strings. Additional world premieres given by Lubman include Helmut Lachenmann’s Concertini and Michael Gordon/David Lang/Julia Wolfe’s Shelter, as well as works by Philip Glass, Charles Wuorinen, John Zorn, and Hilda Paredes. 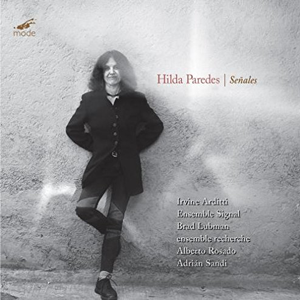 His own music has been performed in the USA and Europe, and can be heard on his CD, Insomniac, on Tzadik. Brad Lubman is on faculty at the Eastman School of Music and the Bang on a Can Summer Institute.